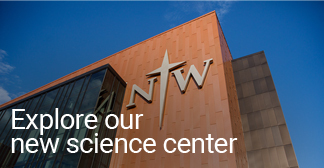 Dr. Jenelle (Kleinhesselink) Dunkelberger of Lakeville, Minn., a 2011 Northwestern College alumna who is a geneticist for the world’s second-largest swine genetics company, is Northwestern’s nominee for the 2019 Council for Christian Colleges and Universities (CCCU) Young Alumni Award. The award recognizes an individual who has achieved uncommon leadership or success in a way that reflects the values of Christian higher education. The winner will be chosen by a committee in December and recognized at a CCCU conference in February. Felipe Silva, a 2012 Northwestern alumnus who founded and directs a climbing gym as a way to reach out to at-risk children and teens in an economically depressed region of Romania, won the award in 2017. Dunkelberger’s path to becoming a Ph.D.-trained geneticist began rather inauspiciously. A biology-health professions major planning to become a medical doctor, she accepted a genetics-oriented summer research position with a Northwestern professor the summer before her junior year because she thought it would look good on her medical school applications. “I wasn’t necessarily expecting to enjoy it, but I did. I found it very fascinating,” she says. Dunkelberger continued working on the project for her Honors Program research. After graduation, she worked in a pathology lab for a year while she considered her future and some of the reservations she had about medical school. Late that summer she decided to apply for the genetics Ph.D. program at Iowa State University for the subsequent year, willing to accept however God would lead. Not long after, she was offered a USDA fellowship to begin the program in two weeks. God had spoken. The focus of much of Dunkelberger’s research and study at Iowa State was the genetic improvement of livestock for enhanced disease resistance. She collaborated on several scholarly papers and presentations, won the 2016 National Swine Improvement Federation’s Lauren Christian Graduate Student Award, and placed third in the American Society of Animal Science’s Ph.D. oral competition that year. Dunkelberger spent two months of 2016 in the Netherlands, working as a research intern for Topigs Norsvin, the second-largest swine genetics company in the world. She was hired by the firm following completion of her doctorate in 2017 and currently oversees all of Topigs Norsvin’s research trials that are conducted within the U.S. out of its national headquarters in Burnsville, Minn.
Dunkelberger’s role includes conceiving ideas and experimental designs for research trials, implementing them, and then collecting and analyzing the data to help improve Topigs Norsvin’s breeding program. Dunkelberger frequently gives research presentations, including at international meetings such as the Gordon Research Conference on Quantitative Genetics and Genomics in Italy and the International Conference on Production Diseases in Farm Animals in the Netherlands. She has had numerous articles published, including in the Journal of Animal Science, BMC Genomics, and Livestock Science.